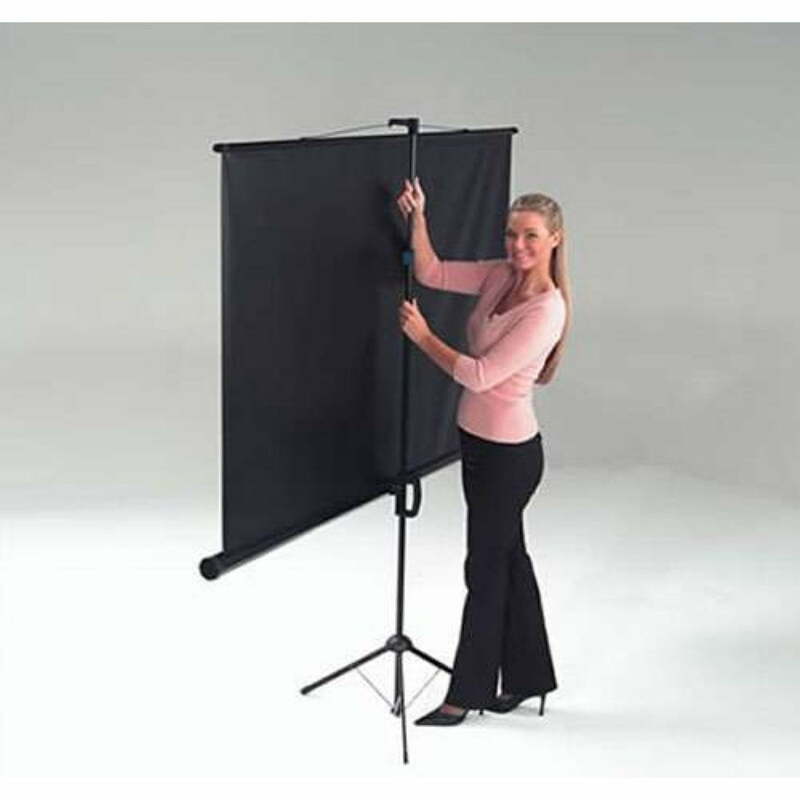 The Budget Tripod Projector Screen by Metroplan is a portable screen with an affordable price. It offers a great range of features providing an inbuilt Keystone Eliminator, which angles the screen to avoid unpleasant image distortion. 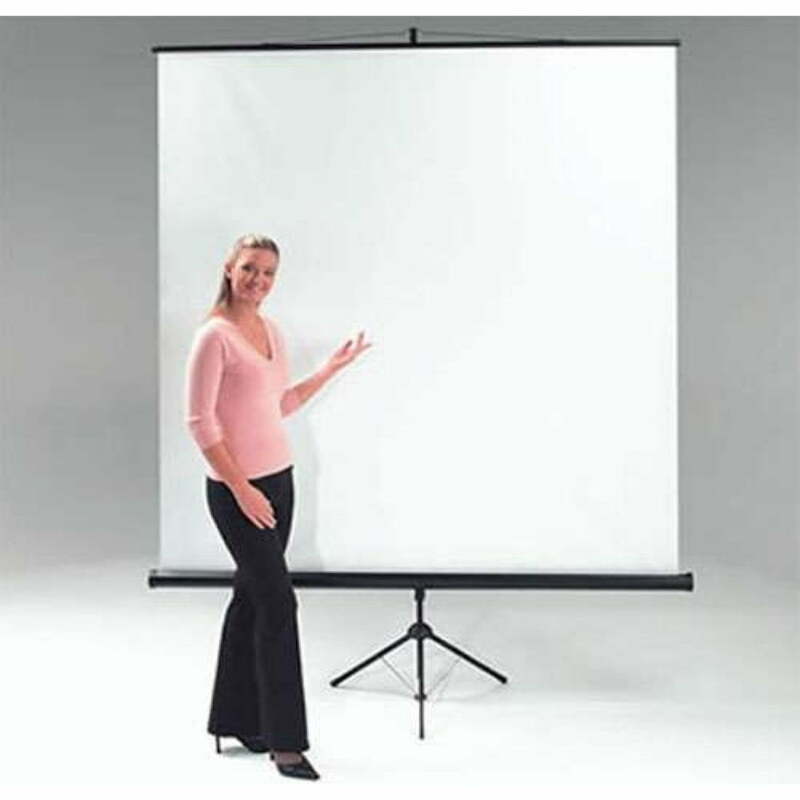 The white matte screen has no borders and is suited for different tasks like overhead to video projection. The screen is easy to set up and store in its own storage case. Once erected, it is stable and sturdy to ensure no embarrassing mid-presentation accidents or fall-outs.